Home / NASA / METHOD OF MAKING OXYGEN FROM WATER IN ZERO GRAVITY RAISES HOPE FOR LONG-DISTANCE SPACE TRAVEL! METHOD OF MAKING OXYGEN FROM WATER IN ZERO GRAVITY RAISES HOPE FOR LONG-DISTANCE SPACE TRAVEL! 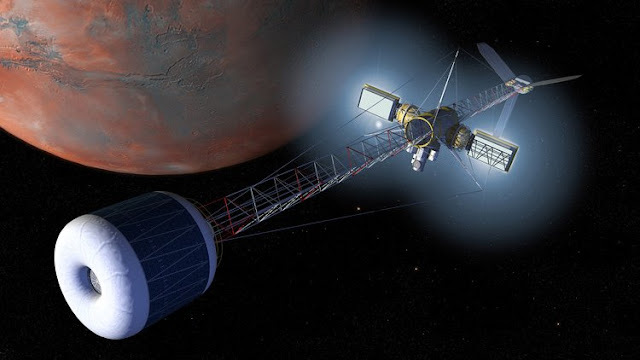 Space agencies and private companies already have advanced plans to send humans to Mars in the next few years – ultimately colonizing it. And with a growing number of discoveries of Earth-like planets around nearby stars, long-distance space travel has never seemed more exciting.